Ideal for both domestic and commercial environments Secure Rooms are an effective security solution against burglary, fire, theft and even certain firearms. 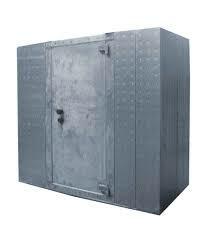 A great alternative when standard safes are not large enough and a high level of security is required. Secure Rooms are a fully enclosed, reliable security measure. At both the home and the office, Secure Rooms are an excellent alternative for Strong Rooms as they can be easily built into the corner of a property without the need to build additional space out of bricks and mortar. In fact, Secure Rooms are a 6 sided strong room where the walls, ceiling, and floor are all the same thickness taking into account the potential for entry through any possible angle. The Module Guard range from Chubb Safes has been designed specifically for maximum security requirements to protect your personal items and high value stock such as that found at jewellers, banks and hotels against fire, theft and unauthorised entry. They have also been produced to withstand physical attack with the designed option of a series of high-security locks. The Secure Rooms are tested with a range of attack tools to ensure the highest level of protection from basic tools such as drills to more sophisticated thermal and electrical equipment. As a result the Grade 2-4 Secure Rooms have been granted a Grade 4 level according to the EN 1627-1630 standard. The modular construction means assembly, dis-assembly and expansion of a room is both quick and easy. Lightweight construction means reduced transportation costs as well as flexibility on placement where floor loads are limited. Secure Rooms can be built into the existing structure of a building and customised to meet required dimensions. Exteriors can be painted or finished with decorative panels. Pre-painted, galvanised versions are also available. For more information regarding Secure Rooms call one of our security specialists on 0117 967 4994 for free, friendly advice.